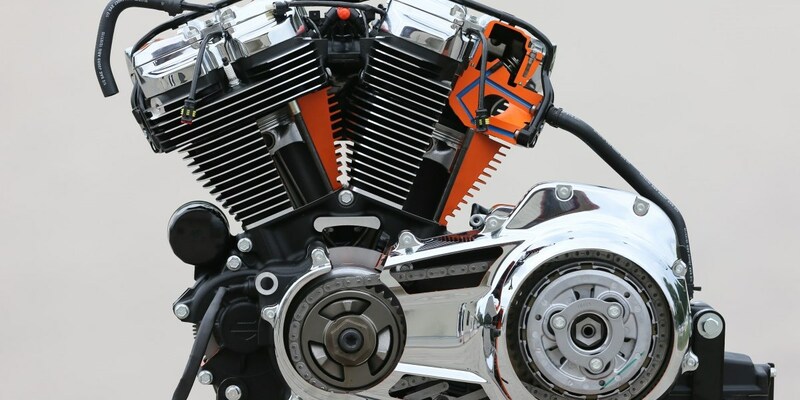 Harley-Davidson motorcycles have always been defined by their engines. Owners and loyalists know the names and nicknames for each successive powerplant version. A new engine represents the start of a new generation of Big Twin. So, when H-D revealed its 2017 Touring lineup with the new Milwaukee-Eight engine, the motorcycling public took notice. The Milwaukee-Eight 107: Air/oil-cooled 107-cubic inch (1,750-cc) 45-degree V-twin in the Street Glide, Street Glide Special, Road Glide, Road Glide Special, Electra Glide Ultra Classic and Road King motorcycles and Freewheeler trikes, tuned to produce 111.4 lb-ft of peak torque at 3,250 rpm. A drag racing-inspired air intake, sculpted cylinder heads and narrow-waisted cylinder bodies give the Milwaukee-Eight a more athletic appearance, while improving fit for the rider’s and passenger’s legs. 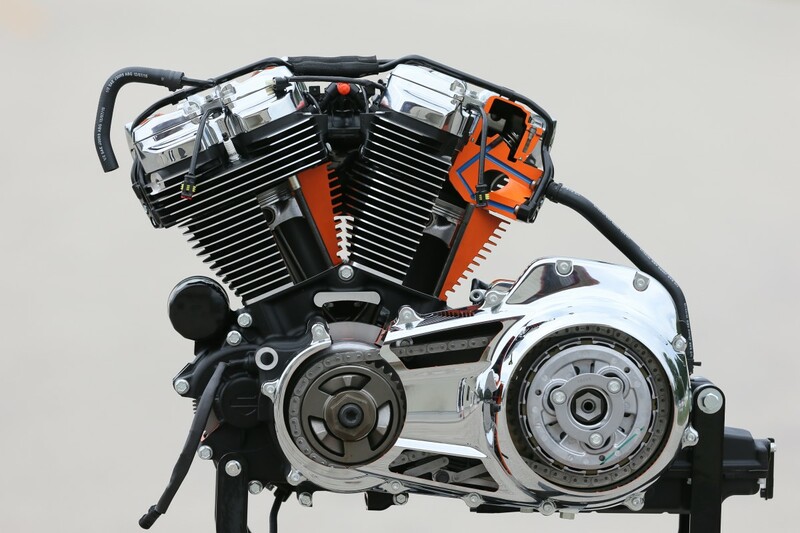 Twin-Cooled Milwaukee-Eight 107: 107-cubic inch V-twin with liquid-cooled cylinder heads in the Ultra Limited, Ultra Limited Low and Road Glide Ultra motorcycles and Tri Glide Ultra trikes, tuned to produce 113.6 lb-ft of peak torque at 3,250 rpm. 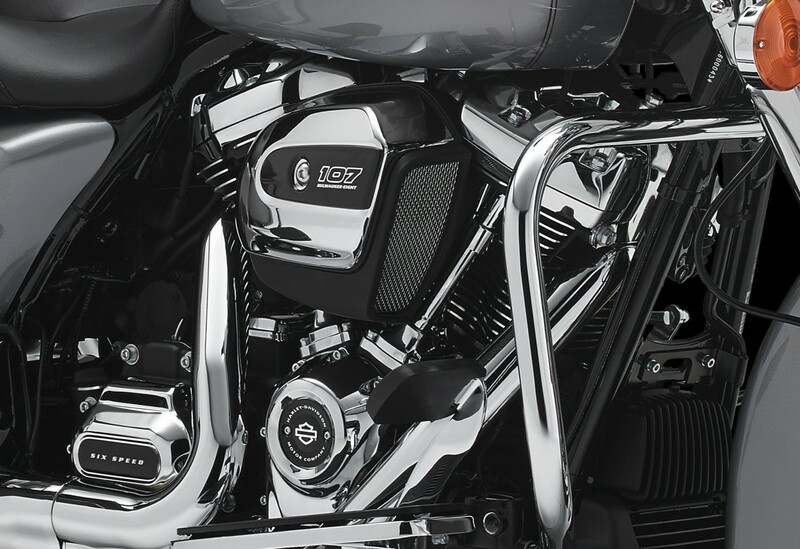 Twin-Cooled Milwaukee-Eight 114: A 114-cubic inch (1,870-cc) version of the liquid-cooled engine in the CVO Limited and CVO Street Glide touring bikes, tuned to produce 124 lb-ft of peak torque at 3,250 rpm. 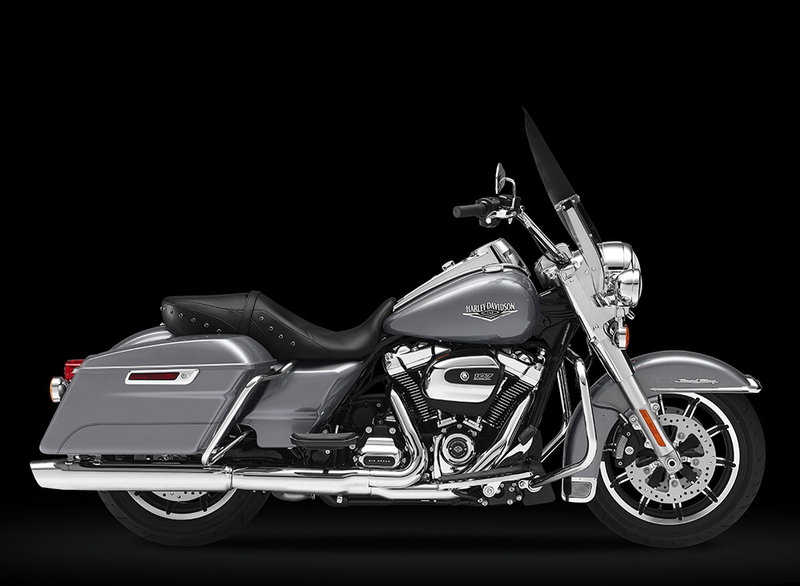 Pricing for the new Touring lineup runs from $18,999 for the Road King to $40,999 for the CVO Limited. The Milwaukee-Eight will have one overhead camshaft (abandoning the dual camshafts of the Twin Cam engine) and four valves per cylinder. Rubber mounting and an internal counter balancer promise reduced vibration. Redesigned cylinder heads and exhaust system provide better heat management. A new knock-sensor for each cylinder sharpens timing precision, and allows for a lower (850 rpm vs 1,000 rpm) idle speed, further reducing engine heat. H-D touts a “richer” exhaust note, too – a feature that is highly prized by Harley riders. MY17 Key Feature. Touring Road King FLHRCharging capacity has been increased by 50 percent, better accommodating the real-world needs of touring riders, who often plug in accessory equipment to their bikes for long rides. 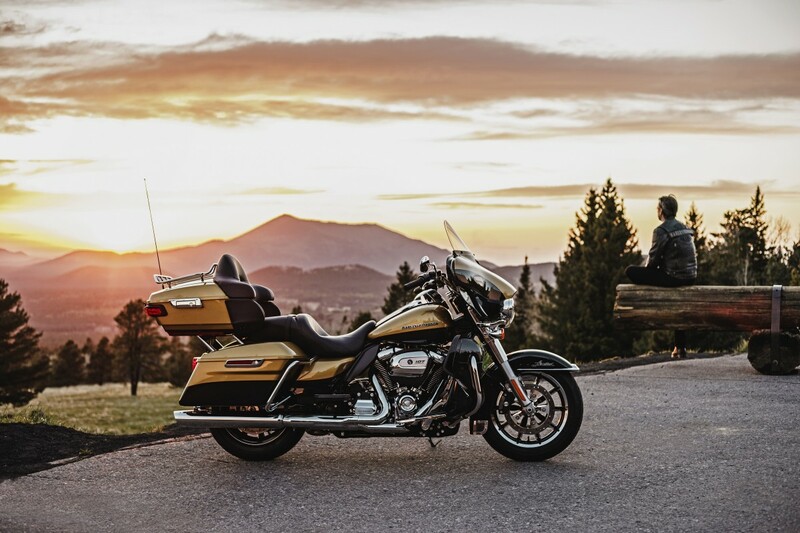 With increased displacement, the Milwaukee-Eight engine will also deliver more horsepower and torque and quicker acceleration to H-D tourers. Harley claims a 10-percent increase in torque across the three engines, and from 8 percent to 12 percent faster acceleration. Of course, H-D will offer a full selection of Screamin’ Eagle Performance Parts for the Milwaukee-Eight, allowing owners to further enhance the performance of their new motorcycles. Stage I, II and III kits will be available to increase torque by up to 24 percent. Additionally, the Touring lineup will receive all-new suspension components, both front and rear. The front suspension is by Showa, a version of its SDBV (Showa Dual Bending Valve) forks, a racing-derived technology that was first introduced in 2014. The rear suspension features dual shock absorbers with 15 – 30 percent more pre-load adjustment than before, hydraulically adjustable with a single knob – no tools necessary. MY17 Lit Book OuttakesIncluding 13 Touring motorcycles and trikes, Harley-Davidson’s 2017 lineup consists of 36 models. Entry-level Street 500 and Street 750; Six Sportster variants; Six Dyna models; Seven Softails; V-Rod Muscle and Night Rod. Three CVO (Custom Vehicle Operations) models are among the 36 for 2017: CVO Pro Breakout; CVO Street Glide; and CVO Ultra.